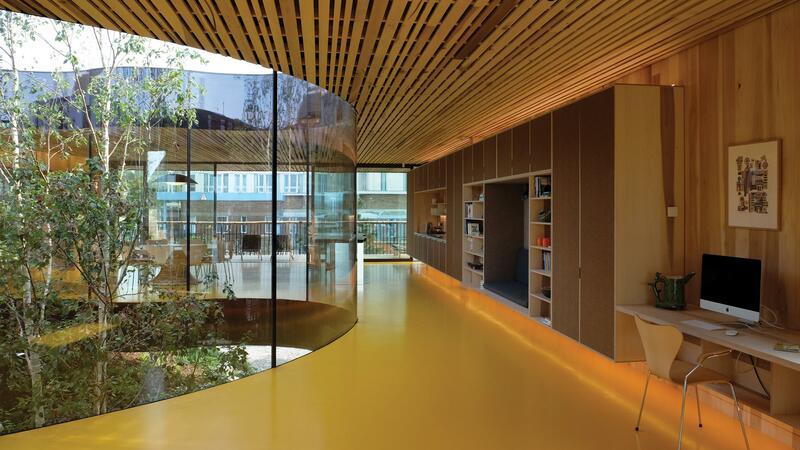 The finished building is thoughtful, holistic, therapeutic, warm and filled with surprises, – even the smallest detail has been carefully considered and chosen to improve the patients wellbeing. 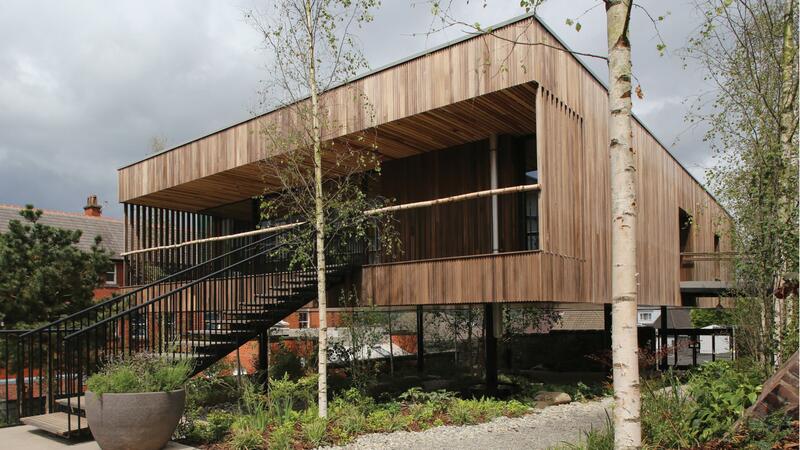 It stands as a pivotal moment for modern architecture and timber in construction. 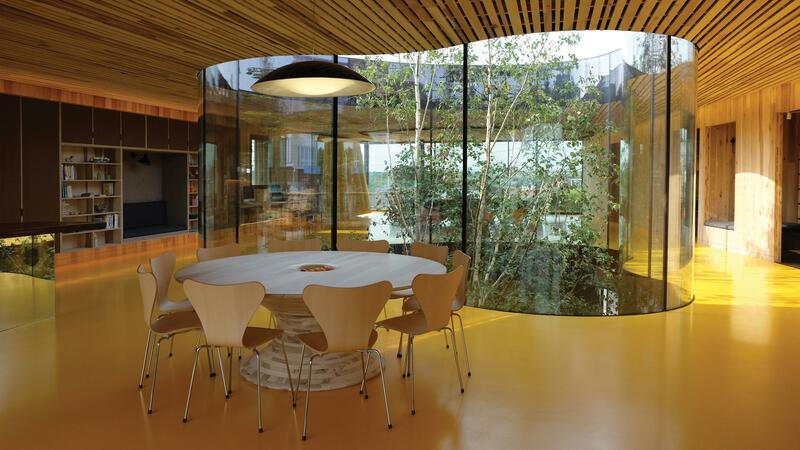 The main kitchen table around which visitors are encouraged to sit, is a design by Barnby Day that was commissioned by Alex de Rijke and AHEC for The Wish List for London Design Festival 2014. 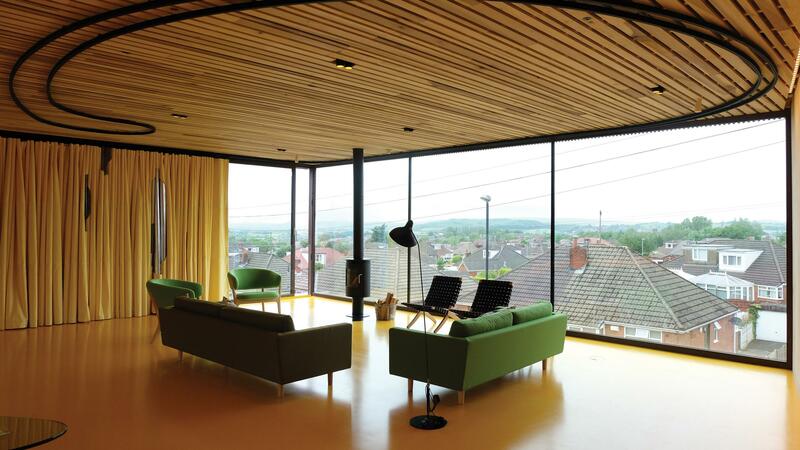 Built by Benchmark furniture from recycled tulipwood CLT with the base from off-cuts of CLT from the windows and doors from Maggie’s Oldham. The centre of the building – ‘the hole in the middle’ – features a curved glass glazing with a tree reaching through the middle of it. The CLT wall panels gently follow the curvature of the glass creating a smooth flow guiding visitors around the building. American white oak replaces the cold metal, traditionally used for door handles and support rails, that can be harsh on sensitive skin caused by chemotherapy treatment. 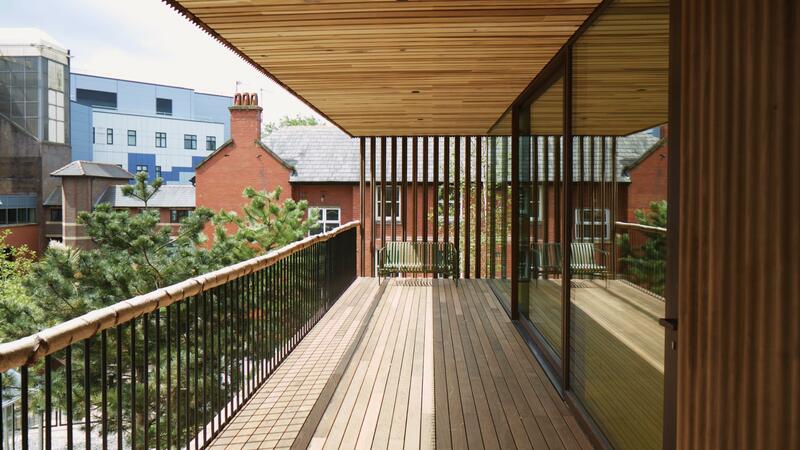 Outside, thermally modified American ash decking is covered by the roofs canopy, American tulipwood, to offer shelter for those with light sensitive skin from radiotherapy, without detracting from the tranquil views over the hospitals gardens.